The key trends for 2019 are technicity and design. Regarding the technicity of the PAG product for 2019 we make a point to use the best materials, as well as adaptive cut for different sport and situation in the mountain. In this way we test all our new product with our team riders around the world in the most remote areas. Regarding the design PAG has never hidden it’s street inspiration with an innovative and futurist cut. 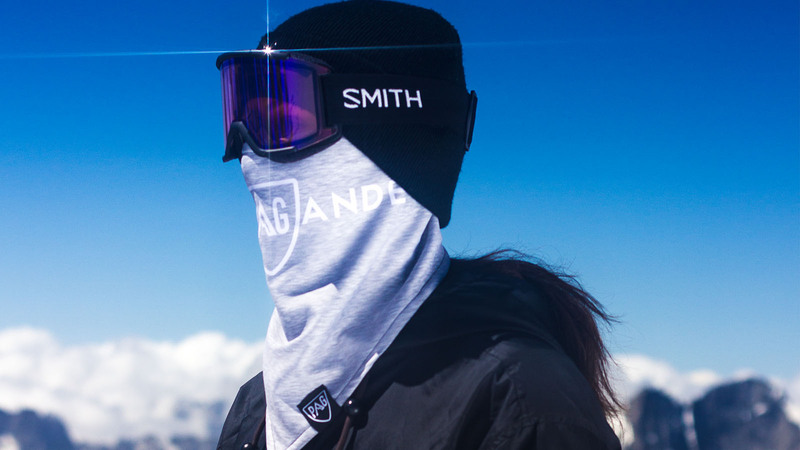 We will continue to develop product with the stylist Louise Porche who comes from haute couture and adapt her elegant and innovative design which establish a bridge between sportswear and streetwear while keeping outdoor and mountaineering products for a different use. PAG will also launch a label that will be an extension of the brand push into innovation and fashion with a futuristic approach of the accessory! With ultra-limited collection reserved to our selected retailer. It will include exclusive pieces and co-branding with designers and different type of brand. What shape/design of facemask is most popular in your range? ORIGINS: this is the original neckwarmer we have done. Created by Victor Daviet’s grandmother ten years ago. It has been considerably improved over the years. It now has a lining in fleece on the inside and a printed water repellent outside with a nice shape as the original one. A “made in France” product with an affordable price. Hooded street: The revolution in the Hood market, designed by Louise porche this hood is the main product of our range. It is a removable hood. 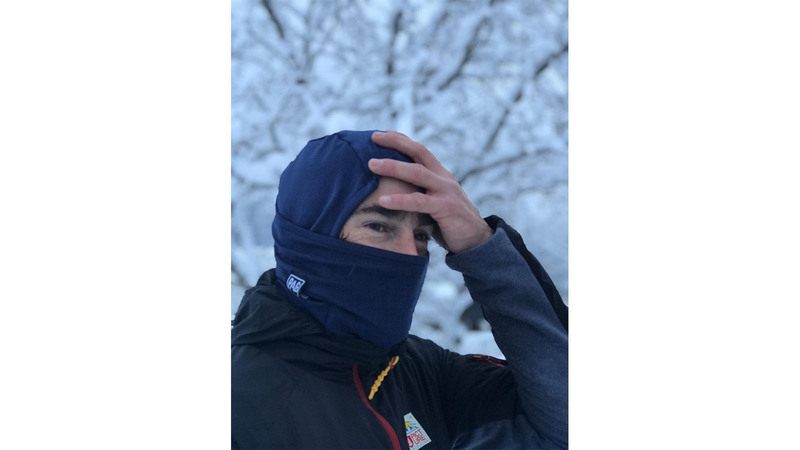 It allows the product to have all the strengths of a normal hood when it is closed up, you can also remove the hood and have the neckwarmer inside. This product is the one our team riders and customers love. PAG Neckwear is doing 100% of it’s production in France, with know-how and a quality recognised around the entire world. We are working on a lot of different materials so we adapt our manufacture methods to each caracteristic of fabric. We are working a lot on water repellent materials so we have to adapt on our sew technicity. We also work on hot stamping for our ORIGINS range to have printed fabrics. PAG is commited to use quality materials for products that are one of the most technical in the market. We start a collaboration with 37,5 which permit us to find and use a really innovative product and participate to the developement of special fabrics. 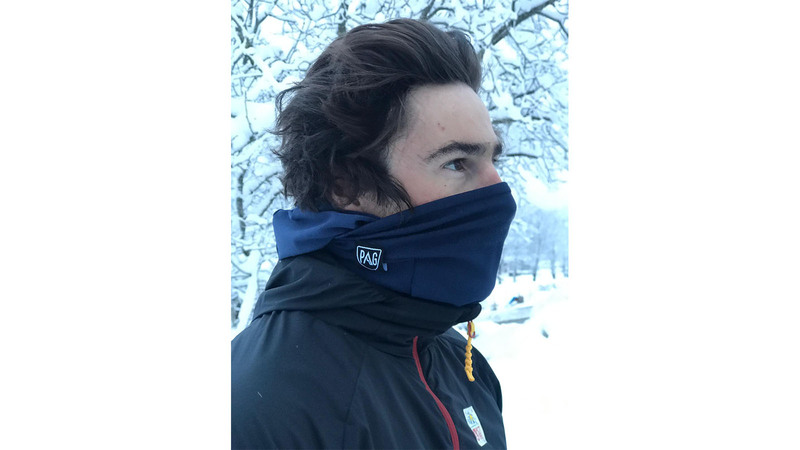 What sets this product appart is that their products dry 5 time faster than other product so it permit to have a dry neckwarmer in all conditions. This technology also have for goal to keep a comfort body temperature in effort or not. For 2019 we have developed a water-repellent and ultra-breathing product that will make the most technical product on the market. For palettes colors and graphics, we will make a superposition of the same colours with a game of materials. For the hood range we will find some double black but also some pastels colors. We like to have united colorsto keep our product aesthectic and elegant. For the origins neckwarmers we work on several type of print to make a wide selection and be able to please to everybody. Any stand out artwork collaborations? Pro rider models? As for 2018 PAG will collaborate with two artist : a painter and a photographer that are known and we leave them to print whatever they want on their ORIGINS neckwarmer. This season and the futher one we will highlight on the packaging . All our retailers will recieve the pieces already in resealable packaging with sticker in it. Customer scan reuse it, it is a good way to differ from our competitors. For the sale advertising on 2019 we will done dummy head with minimalist design. We also work with our photograph to do some personalised window stickers .